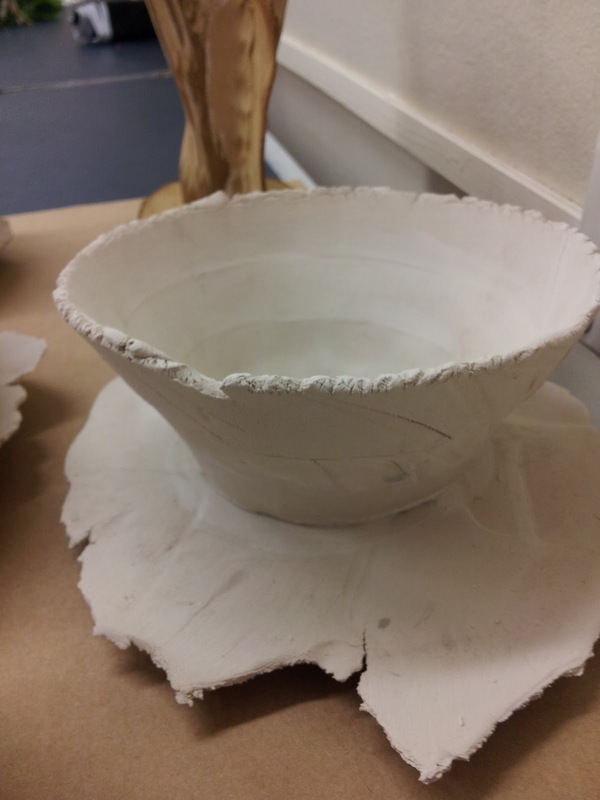 PROJECT BRIEF: Create work that is functional or sculptural with intentions of it being used to serve food or drink with at a tea ceremony. 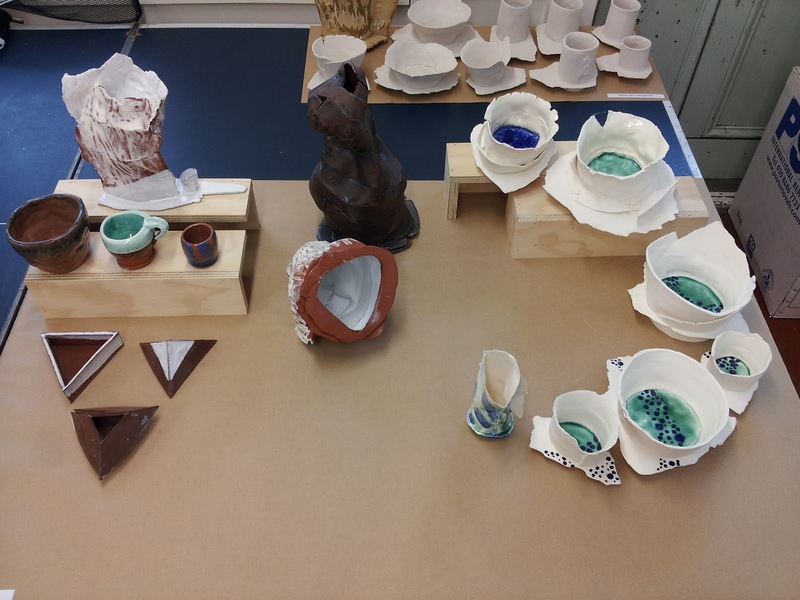 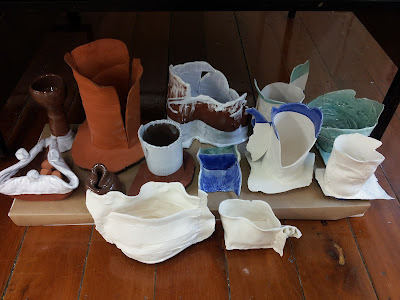 Ceramics was a medium I was introduced to through an elective class during my final semester of study at Unitec. 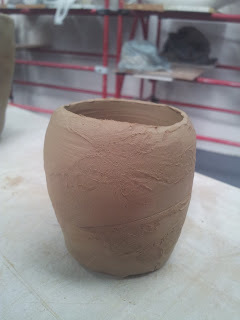 It is a rich art that dates back to the earliest of civilisations, where it was used for its function and its beauty. 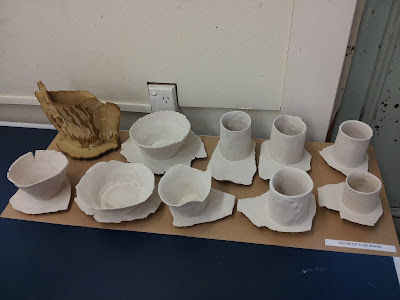 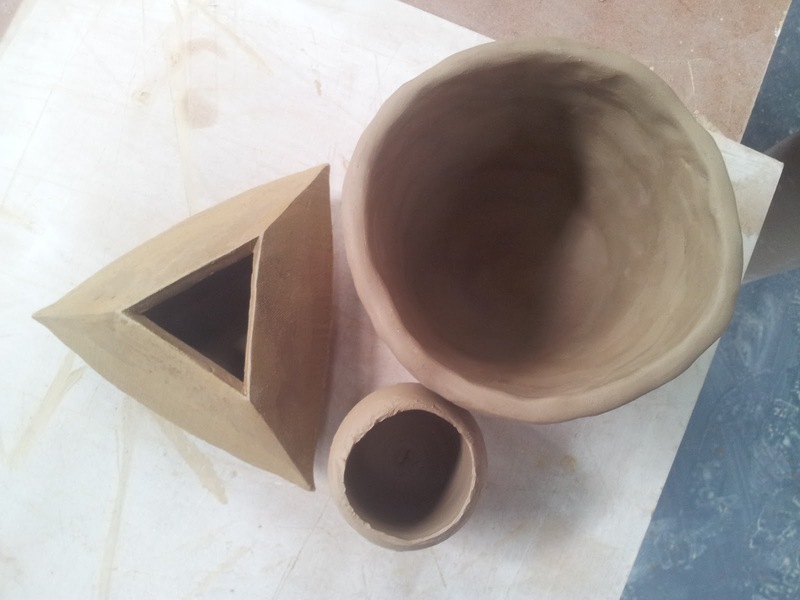 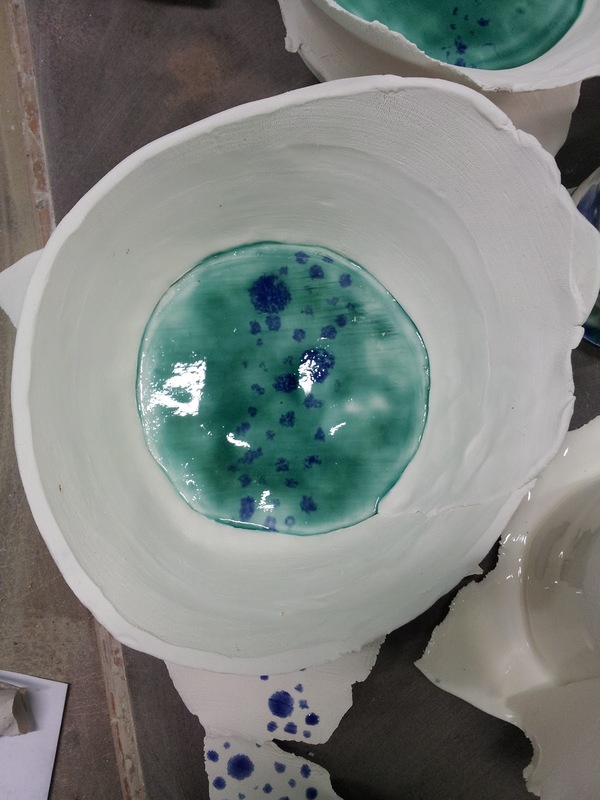 With the help of our course instructor, well known New Zealand potter, Brendan Adams, our class was taught the ageless processes and techniques used for thousands of years to form raw clay in to an artefact. There is certainly something romantic about working with clay, once I got it between my fingers I didn't want to let it go! 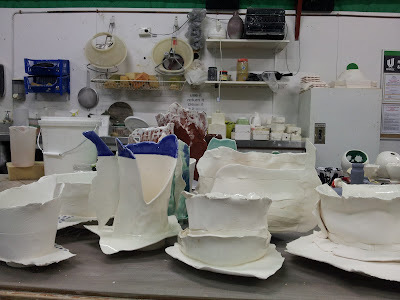 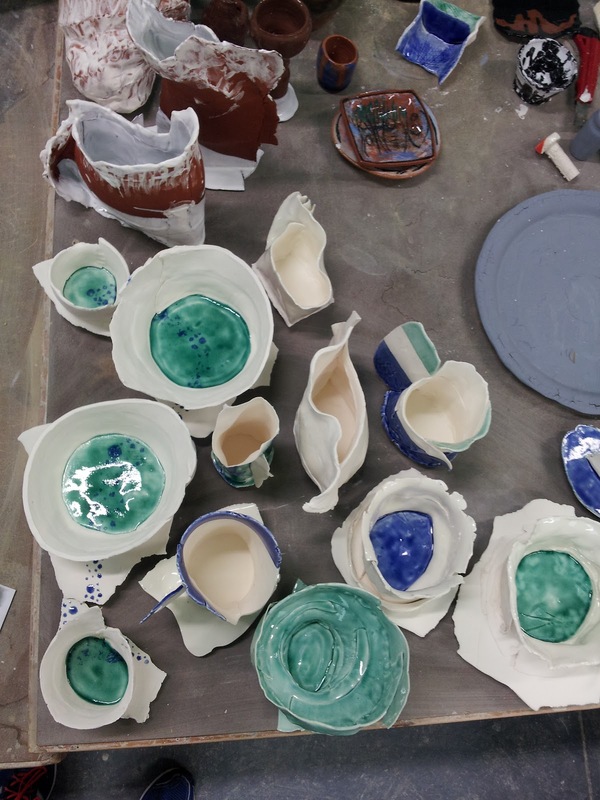 It is a very sensual art form, I found my self going to the ceramics barn after class at 4pm, where I would work until 10 o'clock at night just getting my hands dirty. 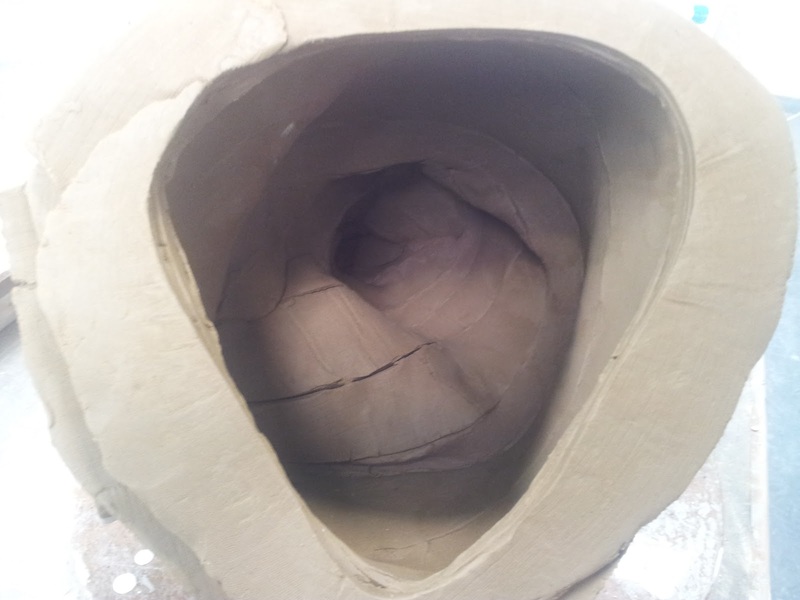 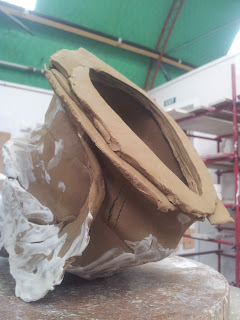 I soon found the technique that I was most interested in which was slab construction, but what I loved most about this process was the edge condition created by flattening out a lump of clay. 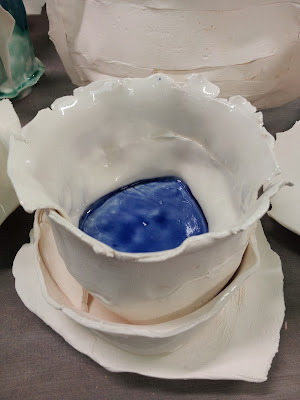 This edge condition is mostly seen as undesirable and is discarded by most so that they can work with a clean edge, but I found beauty in its imperfection and uniqueness in its characteristics. This was a huge leap sideways from my practice as a Product and Furniture designer; where everything has to be exacted and calculated. 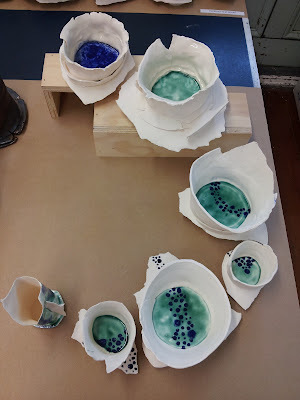 This process allowed be to be a lot more expressive and free with my ideas and Brendan encouraged me to pursue an abstract approach to my work. 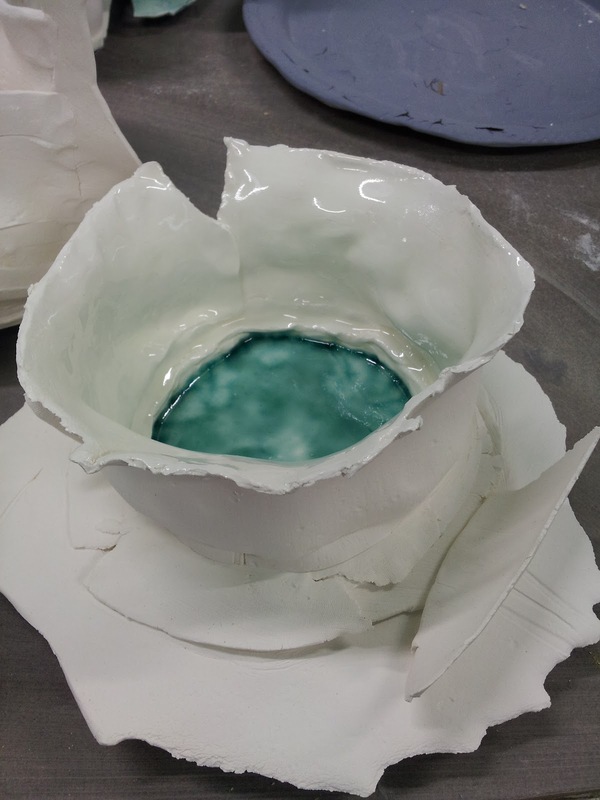 It's a conch-shaped vessel, that is slab constructed from random cuts of clay that has had a white slip applied using my own hands as a brush to continue the "looseness" I had established. 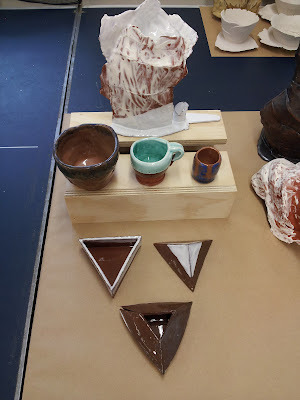 What I like about this piece is that it used every single piece of clay from one slab, nothing was thrown away. I feel that this was a metaphor for sustainability and nature in general. 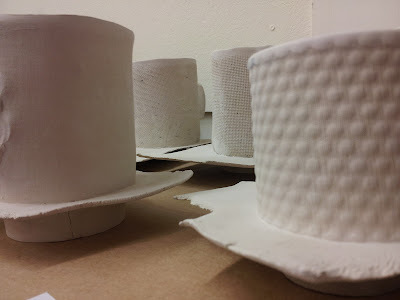 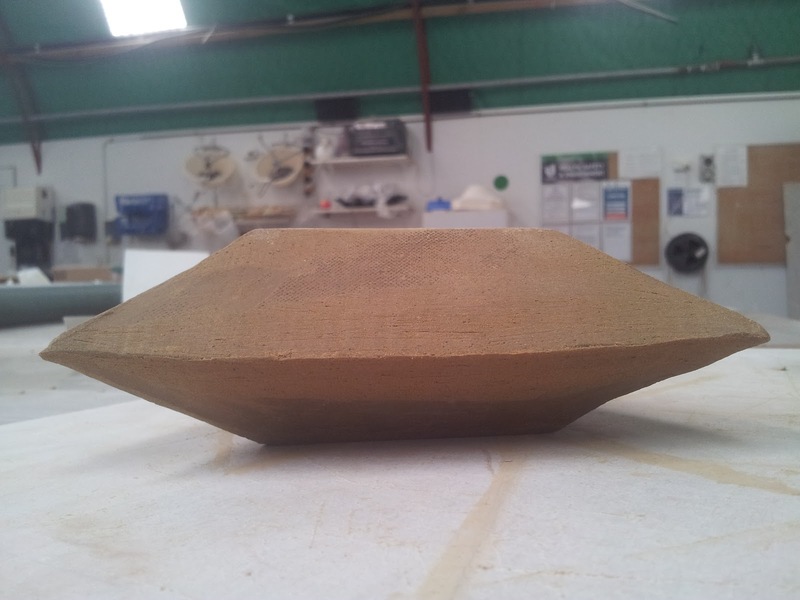 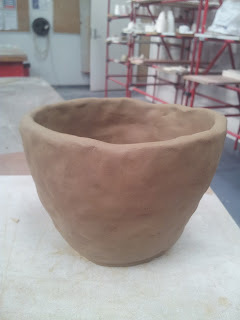 I then tried to develop this technique in to something a little more functional by created a series of bowls, which celebrated the edge condition of the slab by connecting with it as if it was a plinth of sorts. 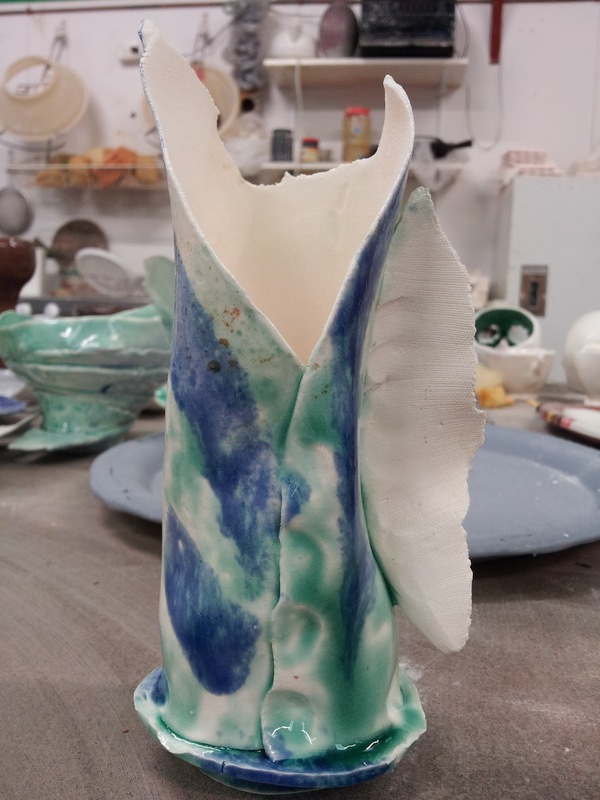 I quickly realised that I had found my forte in clay and continued to pursue this idea of my work elevated from the surface to express it's importance and value physically and metaphorically. 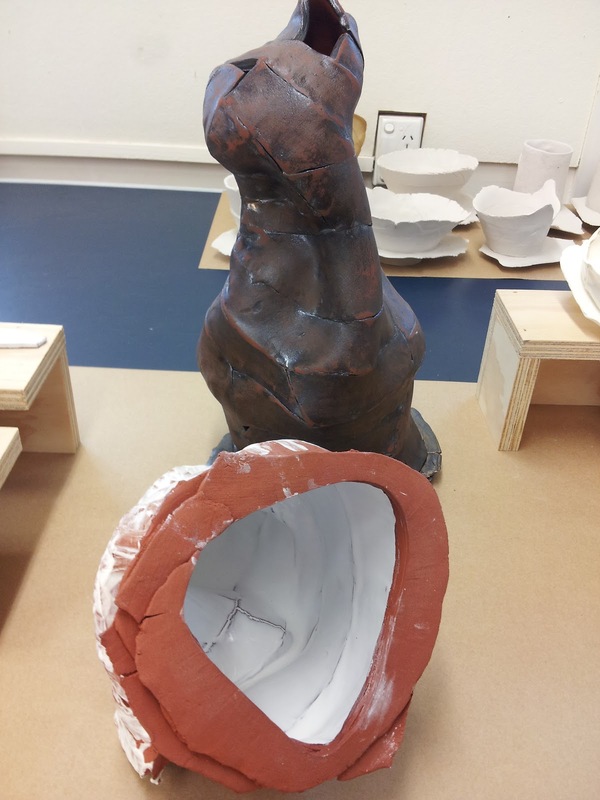 As follows are a few selected images of my final work that was submitted for marking. Thank you to Brendan Adams for showing me the wonders of clay and for making is so enjoyable. I look forward to building on what I have established as well as creating new work soon!